The church in Richardson warmly welcomes you. As believers in the Lord Jesus Christ, we have personally received Him as our Savior. He is the most excellent and enjoyable Person. We love Him and endeavor to give Him the first place in all things. We rejoice to be cleansed by the blood of Jesus, partake of the divine life, be filled with the Holy Spirit, and be brought into the fellowship of the Body of Christ. In order to practice the oneness of the Body with all the Christians in Richardson, we meet as the church in Richardson. We are in fellowship with thousands of local churches worldwide to express the one Body of Christ. The church in Richardson isn’t our name – it’s our description. We treasure the Holy Bible as God’s revelation of Himself and of His eternal purpose. We hold the common faith which is revealed in the Bible and is common to all genuine believers. As is true of all believers in Christ, we are members of His one Body, the church. In order to practice the oneness of the Body with all the Christians in Richardson, we meet as the church in Richardson. We are in fellowship with thousands of local churches worldwide to express the one Body of Christ. Day by Day: Our emphasis is to have a church living where each member is built into a vital, spiritual community characterized by the love for Christ and one another (John 15:9) and by the focus on God’s eternal purpose (Eph 3:2-11). We primarily meet in homes and small gatherings throughout the week for prayer, fellowship, and Bible studies (Acts 2:46-47). On Lord’s Day: We gather in larger groups at 9:30AM for worship. The church in Richardson has partnered with Bibles for America to offer free copies of the New Testament to our friends, neighbors, and fellow Christians in Richardson. 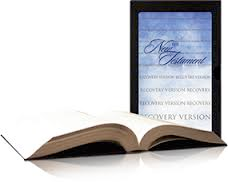 Request your free New Testament Bible today. © The church in Richardson 2016. All rights reserved.